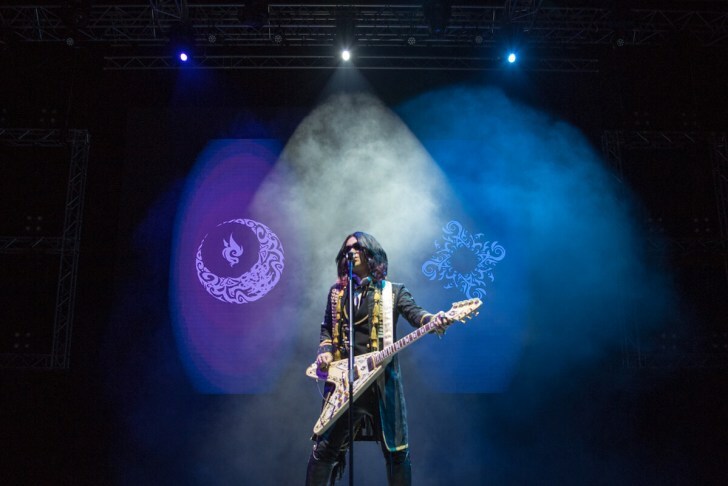 Linked Horizon fans were treated to a truly memorable evening as Zepp @ BigBox hosted 「Shingeki no Kiseki: Memoirs & Mini Live Show」 — one of only two shows main man Revo was doing in South Korea and Singapore. 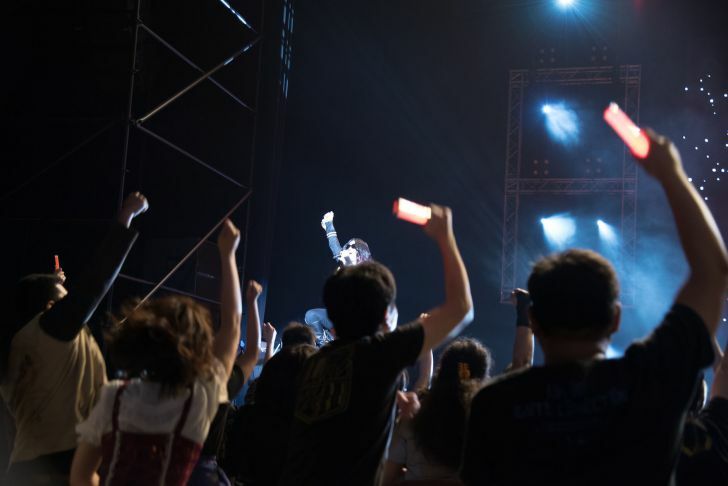 The event featured a special screening of clips from this year’s 「Shingeki no Kiseki」 Yokohama, Kanagawa concert, as well as a special live performance by Revo himself! We’re sure very few people have not heard of 「Attack on Titan」, but it seemed like every single person at the show was a huge fan of the series. Some came in costume, while many more were decked out in various AOT gear. Quite a few people also appeared to have flown in from overseas, including a sizable Japanese contingent who showed up in head-to-toe Linked Horizon apparel (yes, we’re blown away by their enthusiasm!). After just a few songs, the man everyone had been waiting for — Revo, came onstage in his Linked Horizon regalia! As the applause died down, he made a heartfelt apology to all Singaporean and regional fans, for cancelling last year’s announced concert. However if you’ve seen 「Memoirs」, you’d realize the massive amount of work it took to put a single show together, and it was understandable that they would cancel a few dates here and there. You could see how much passion Revo put into his work, as he would gamely teach his local fans how to do some of the hand gestures, to better interact with the screening. He also shared a few things here or there, that fans who have attended the live shows would never know, such as how the massive choir and orchestra would play off each other to bring perfection to every track. The most surprising segment of the evening was the extended encore after the main show, when Revo played tracks not from 「Attack on Titan」, and also DJ-ed for his fans! This was something pretty special at the Singapore event, as it even took the Japanese fans by surprise. This was a really fun encore, and we hope the rest of the audience went home with fond memories of Linked Horizon’s Singapore event. Fingers crossed he comes back for a full concert very soon!